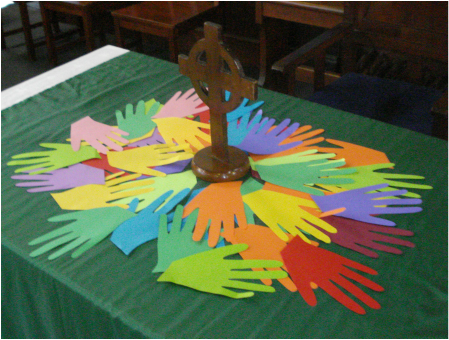 John 17: 20-23 - "... so that they may be one as we are one..."
Mackay Churches Together is an Incorporated Ecumenical Association comprising members from many of the Mackay Churches. Each month we meet for lunch and fellowship. We have a prayer time together to follow and then a Business Meeting. We are working together on common goals and ministries. Our Purpose is: To encourage visible expressions of unity and fellowship amongst churches which confess the Lord Jesus Christ as God and Saviour according to the Scriptures. We seek to fulfil together our common calling to the glory of the one God, Father, Son and Holy Spirit. This website contains contact information for all the MCT affiliated Mackay and District Churches and information on current ecumenically friendly events. See also Reflections written by MCT affiliated Ministers and our monthly Newsletter. Please contact us for further information or leave a message on our BLOG. MCT also has a Facebook page.